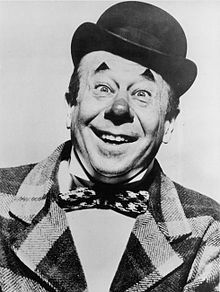 Irving Lahrheim (August 13, 1895 – December 4, 1967), stage name Bert Lahr, was an American actor of stage and screen, vaudevillian and comedian. Lahr is best known for his role as the Cowardly Lion, as well as his counterpart Kansas farmworker "Zeke", in the MGM adaptation of The Wizard of Oz (1939). He was well known for his explosive humor, but also adapted well to dramatic roles and his work in burlesque, vaudeville, and on Broadway. Lahr was born as Irving Lahrheim, in New York City, the son of Augusta (1871-1932) and Jacob Lahrheim (1870-1947). His parents were German Jewish immigrants. Lahr grew up in the Yorkville section of Manhattan. Dropping out of school at 15 to join a juvenile vaudeville act, Lahr worked up to top billing working for the Columbia Amusement Company. In 1927 he debuted on Broadway in Delmar's Revels. He played to packed houses, performing classic routines such as "The Song of the Woodman" (which he reprised in the film Merry-Go-Round of 1938). Lahr had his first major success in a stage musical playing the prize fighter hero of Hold Everything! (1928–29). Other musicals followed, notably Flying High (1930), Florenz Ziegfeld's Hot-Cha! (1932) and The Show is On (1936) in which he co-starred with Beatrice Lillie. 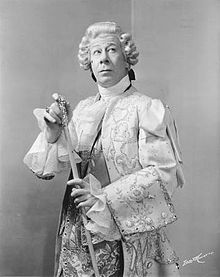 In 1939, he co-starred as Louis Blore alongside Ethel Merman in the Broadway production of DuBarry Was a Lady. Lahr's most famous role was that of the Cowardly Lion in Metro-Goldwyn-Mayer's 1939 adaptation of The Wizard of Oz. Lahr was signed to play the role on July 25, Lahr's lion costume was composed of lion fur and, under the high-intensity lighting required for Oz's Technicolor scenes, the costume was unbearably hot. Lahr contributed ad-lib comedic lines for his character. Many of Lahr's scenes took several takes because other cast members, especially Garland, couldn't complete the scenes without laughing. The Cowardly Lion is the only character who sings two solo song numbers-"If I Only Had the Nerve", performed after the initial meeting with Dorothy, The Scarecrow, and The Tin Man in the forest, and "If I Were King of the Forest", performed while he and the others are awaiting their audience with the Wizard. "The Wizard of Oz" was Lahr's 17th movie. When warned that Hollywood had a habit of typecasting actors, Lahr replied, "Yeah, but how many parts are there for lions?" In June 2013, Lahr's original reading script for The Wizard of Oz, bequeathed to his great-grandson, was appraised with an insurance value of $150,000 on PBS's Antiques Roadshow in an episode filmed in Detroit, Michigan. Lahr later made the transition to straight theater. He got a script of Waiting for Godot, and was greatly impressed but unsure of how the revolutionary play would be received in the United States. It was performed in Europe to great acclaim, but was somewhat obscure and intellectual. He co-starred in the US premiere of Waiting for Godot in 1956 at the Coconut Grove Playhouse in Miami, Florida, playing Estragon to Tom Ewell's Vladimir. The performance bombed, with audience members walking out in large numbers, and the critics did not treat it kindly. 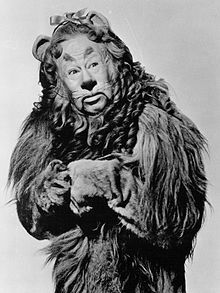 In his book Notes on a Cowardly Lion, John Lahr (Bert's son) states that the problems were caused partly by the choices of the director, including the decision to limit Bert's movement on stage; filling the stage with platforms; and a misguided description of the play as a light comedy, along with other difficulties. Lahr reprised his role in a short-lived Broadway run, co-starring with E. G. Marshall as Vladimir. This time, it was with a new director, Herbert Berghof, who had met with Beckett in Europe and discussed the play. The set was cleared, and Bert was allowed more freedom in his performance. Advertisements were taken out urging intellectuals to support the play, which was a success and received enthusiastic ovations from the audience. Bert was praised and though he claimed he did not understand the play, others would disagree and say he understood it a great deal. Among his numerous Broadway roles, Lahr starred as Skid in the Broadway revival of Burlesque from 1946 to 1948 and played multiple roles, including Queen Victoria, in the original Broadway musical Two on the Aisle from 1951 to 1952. In late 1955 his name was mentioned by Larry Fine as a possible replacement for Shemp Howard, who had died suddenly, to be a part of the Three Stooges. Nothing came of it. In the late 1950s, he supplied the voice of a bloodhound in "Old Whiff," a short cartoon produced by Mike Todd which featured the olfactory Smell-O-Vision process developed for Todd's feature film Scent of Mystery (1960). In 1964 he won the Tony Award for Best Leading Actor in a Musical for his role in the musical Foxy. At the American Shakespeare Festival he played Bottom in A Midsummer Night's Dream (1960), for which he received the Best Shakespearean Actor of the Year Award. A Democrat, he supported Adlai Stevenson's campaign in the 1952 presidential election. Lahr was filming The Night They Raided Minsky's when he died on December 4, 1967 at the age of 72. The official cause of death was listed as pneumonia. Lahr had been hospitalized on November 21 for what was reported as a back ailment. 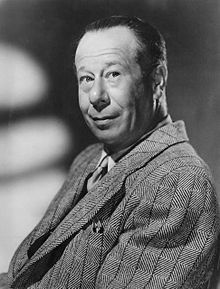 In Notes on a Cowardly Lion: The Biography of Bert Lahr, John Lahr wrote: "Bert Lahr died in the early morning of December 4, 1967. Two weeks before, he had returned home at 2 a.m., chilled and feverish, from the damp studio where The Night They Raided Minsky's was being filmed. Ordinarily, a man of his age and reputation would not have had to perform that late into the night, but he had waived that proviso in his contract because of his trust in the producer and his need to work. The newspapers reported the cause of death as pneumonia; but he succumbed to cancer, a disease he feared but never knew he had." Most of Lahr's scenes had already been shot. Norman Lear told the New York Times that "through judicious editing we will be able to shoot the rest of the film so that his wonderful performance will remain intact." The producers used test footage of Lahr, plus an uncredited voice double and a body double, burlesque actor Joey Faye, to complete Lahr's role. ^ American National Biography: Kurtzman-Lovecraft - John Arthur Garraty, Mark Christopher Carnes, American Council of Learned Societies - Google Books. Books.google.ca. Retrieved September 18, 2012. ^ PBS.org, "Bert Lahr's "Wizard of Oz" Script" (accessed 7 October 2017). ^ Notes on a Cowardly Lion by John Lahr. This page was last edited on 19 March 2019, at 09:51 (UTC).